Nails might be small and unseen sometimes from the eyes, but nails cover the important function to our hand, because you will feel pain without nails in your fingers. This review is about NonyX which is one of a product made by Xenna and claims to clear out dark, hardened, yellow detritus under your nails. NonyX Nail Gel works by breaking down the keratin debris which causes yellowed nails and comes in a dropper that make it easy to apply to get your nails looking white and beautiful in a hurry. Continue reading this review to find out whether this is the product for you. Happy reading! The ingredients are ethanoic acid (9.75%) that is commonly known as vinegar. And the concentration within this formula is much stronger than typical household distilled vinegar. The functions are for breaking down the pieces of debris underneath the nail quickly and clearing it away. Once the keratin has been cleared away by the exfoliating power of ethanoic acid, the fungus can not thrive as well. This type of acid is known as an antifungal agent. Apple cider vinegar soaks or natural home remedies are often used to help with toenail fungus and NonyX improves on that method in two different ways: The concentration of the acid is much stronger. Common distilled vinegar will not work as quickly. The viscosity of the product adds to its power because it is a gel and not a liquid, also it has staying power. The gel adheres to the infection and it works to penetrate underneath the nail to get rid of debris. Liquid solutions can easily get washed away, and not have enough time to sink into the fungus to get better results. The Xenna NonyX gel can help you to remove a buildup of keratin debris from underneath the toenail. When a fungus infects the toenail, it can destroy keratin inside the cells of our nails and it can simply stay there, creating a buildup of debris. The debris will usually be in form of a yellow or white nails, and may even assist in making your toenail thick or hard. Xenna NonyX gel helps to clear out keratin debris, exfoliating it from underneath the nail but without a buildup of keratin and the fungus has less to ‘feed’ on so that it is unable to do as much damage. By using Xenna NonyX gel in two times each day for best results, then you can get your old and original nails even with more beautiful nails. 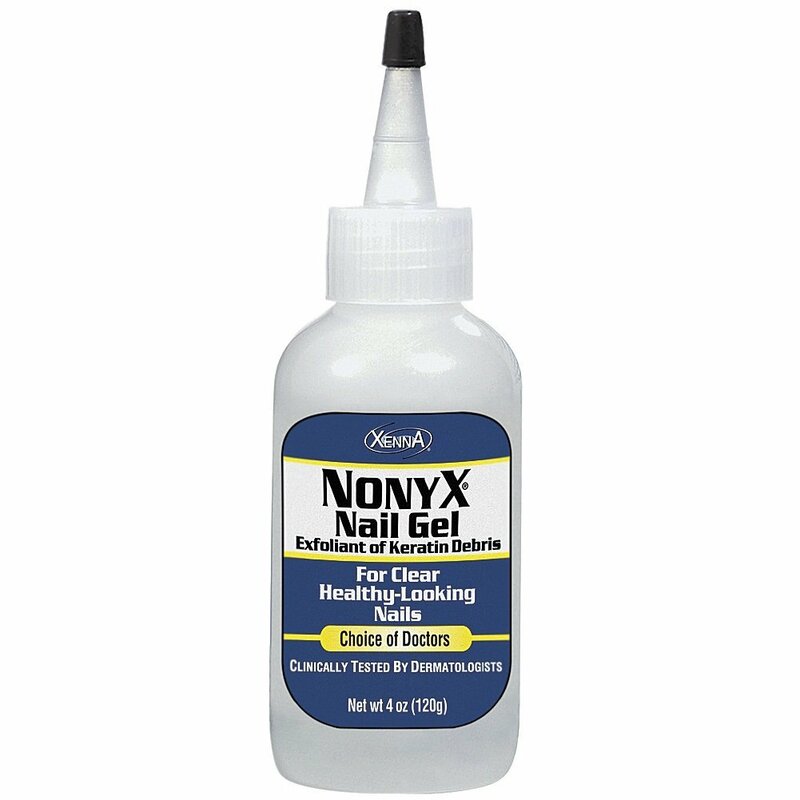 NonyX is in fact a reliable and relatively affordable for healing your irritating and unattractive nail debris. It is also relatively non-toxic, safe to use even for children and safe for diabetics too. The estimated recovery time for this product is also long that between 3-12 months. Another thing that this product is not specified whether it works to treat nail fungus, or simply to improve the outward appearance of your nail. While some reviews said that there seemed to be a great deal of disagreement as to whether NonyX will get rid of nail fungus or not. This omission by the manufacturer could potentially lead to great frustration, as someone who spends more than 3 months attempting to treat a fungal infection with a product that is not actually formulated to do so would be understandably upset. Although we know this product did not make it to our Top 5 Products list. · Recommended for dark or yellowing Toenails and fingernails. Check the best price for Nonyx Nail Gel here!